Contact us to book a workshop in your community. 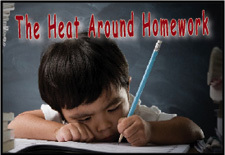 It is not easy to guide a boy who is losing homework, backpacks, planners, and assignments on a regular basis. 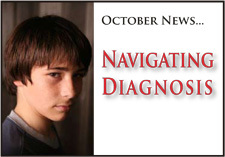 This month’s newsletter provides insight to help you better understand disorganized boys along with practical suggestions to support them. How can we respond when a boy uses minimal effort and barely coasts through school? 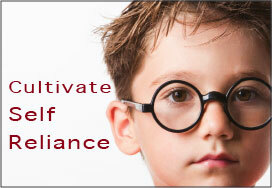 How can parents support a boy’s internal motivation to achieve? 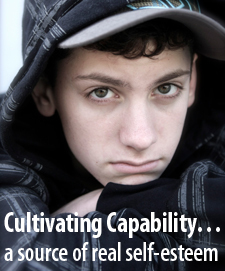 How can we engage boys more fully so that they can discover their own inner drive? A growing body of evidence indicates that Canadian boys are lacking the single most important tool for success in school-the ability to read and make sense of text. 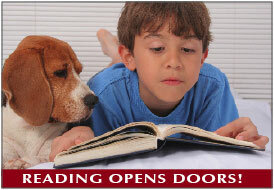 This month's newsletter features an email from a mother concerned about her young son's reluctance to read, and offers practical suggestions in setting the stage for boys to develop a love of reading. While many children gravitate easily to reading, others - especially rambunctious and slower to develop boys - struggle with learning to read. 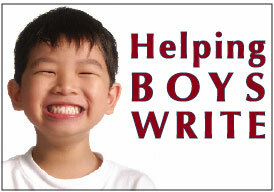 CLICK HERE to learn more about how to foster a love of literacy among boys. Amazon Review gives 2 thumbs up! 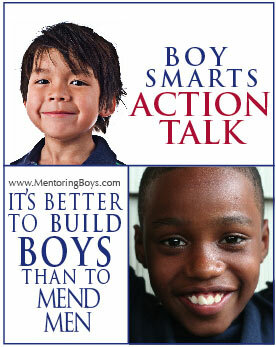 Boy Smarts is a one-of-a-kind book that helps you understand boys and how to work with them rather than against them. “As I travel throughout Canada and the world, I become increasingly aware that boys are falling behind girls in academic achievement. Barry MacDonald adds an important perspective on the issue of boys and video gaming. Let’s look for positives with emerging technologies and not overreact to potential harms. Like drug or alcohol addictions, it is the minority of gamers that get into trouble; and as always, parents play an important role. 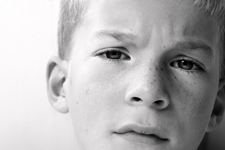 Why do some boys become moody, irritable, and prone to angry outbursts? What happens when they bring the hostility in school hallways? 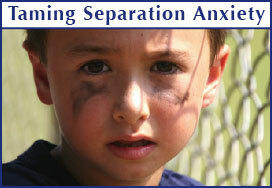 How can we help mentor a boy's passage to manhood by openly discussing worry and anxiety? CHAPTER 12 in BOYS ON TARGET offers parents ideas that can help boys cope with the inevitable stresses of maturation in our culture. As a parent of an only son who struggled through high school, and as a post-secondary educator for many years, I have had the great pleasure of working with Barry MacDonald in personal and professional contexts. Like so many others whose lives Barry has touched, I have been deeply impressed by his practical wisdom about human psychology, and the learning needs of boys in particular. 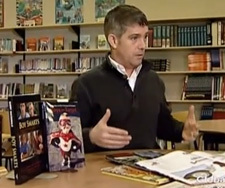 His book Boy Smarts ­ Mentoring Boys for Success at School has encouraged a wide variety of parents, teachers, administrators, and other cultural leaders to think critically and imaginatively about ways to help struggling students, especially boys, thrive in the twenty-first century. This action study guide takes his ideas one step further, and provides a structure for educational leaders and parents to field-test his ideas through discussion, questioning, brainstorming and action. Working with this guide will help you build and re-vitalize your community through collaboration and a shared commitment to the generation after us. 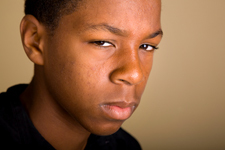 It's common for boys to try to draw adults into an arguement to scuttle a discipline discussion - especially when they are troubled or anxious. 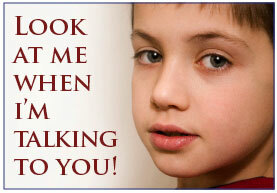 Teachers and parents may become triggered and find themselves reacting instead of responding. During these time it's important to remember that it is the certainty of the response - not the severity or intensity - that makes the impact. CHAPTER 28 in BOYS ON TARGET provides a specific dialogue between a teacher and a boy after a hallway conflict. 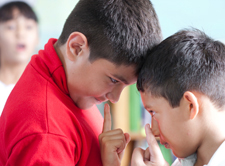 This chapter offers specific suggestions for helping a boy resolve conflict with a teacher while addressing issues that may underlie a show of toughness. "As busy parents who also run a company, finding the time to attend a weekend parenting workshop was a stretch. BOYS WAS IT WORTH IT! Barry MacDonald was informative AND reassuring. We gained a new lens to view and understand our son, and left with a renewed feeling of parental confidence and enthusiasm. We now also feel stronger to advocate for our son at school. Thank you!" "Barry is a very engaging and dynamic speaker - so much so, the four hour workshop seemed to just fly by. He offered practical strategies to interact and communicate with boys. As a very new practictioner of Nonviolent Communication, I especially appreciated his insistence on examining boys' needs, offering boys' empathy, and not 'grabbing the conflict rope'." Monkido Tree Obstacle Course. Click the image to watch. I thought it was kind of amusing the response I got from my oldest son when I was taking him home from tennis practice on Thursday and told him that his mom and I were going to a talk that evening on how to raise boys. "Why?” he asked hesitantly. "Do you think you guys screwed up?" I laughed. Paused for a second. And then I asked him if he thought we had. “Well, I think we're as good as most of the guys out there," he said somewhat self-righteously, defending himself and, touchingly, although maybe not realizing it, yours truly. I assured him I thought he was an even-better-than-average kid in my books and that it's more about just seeing if there is more to learn about this difficult thing called parenthood. My wife and I weren't alone. There were some 1000 people at the Vernon Recreation Centre Thursday night to hear Barry MacDonald talk about Boy Smarts - Effective Strategies for Parenting Boys. First of all congratulations to Jeff Jacobi and Pam Hargreaves and all the other volunteers with the District Parent Advisory Council who successfully organized and brought in such a dynamic educator on a topic that obviously struck a chord with so many of us. Well done. Certainly a significant number of the audience were educators, enough that at times I felt I was at a teachers' convention, and it was good to see them learning even more about the boys we send to them on a daily basis. But it was even more heartening to see fellow hockey parents and neighbours seeking out strategies on how to ensure our little guys "become caring, courageous and ethical men." but painfully clueless on that wonderful day and you buy the books and ask your parents and consult with friends and you wing it and do OK. However, there's so many ways to go wrong, especially with boys I learned last night. 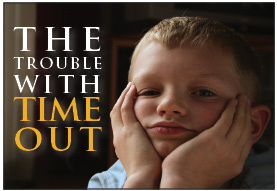 Boys account for 90 per cent of juvenile alcohol and drug violations, and 80 per cent of school suspensions, and are five times more likely to have ADHD.....heavy sign. But Thursday night was about hope, not despair. About awareness and strategies, not giving in to age-old stereotypes. Through the use of humour and studies and anecdotal common sense, not to mention a powerful point presentation that packed punch, we all learned a few things about how to re-connect with our kids in an already hyper-interconnected world. surprisingly well and I'm optimistic. And MacDonald gave us plenty of pointers to help the process along. Generally he told us try not to "yackety-yack” at them too much (preach less), cut them some Slack (give them more freedom) and "tune into their reality by joining in with what they like to do.” MacDonald also said "laughter lubricates learning" and that "you learn more when you're having fun." So where I got home that night and my son asked how it went, I told him I learned that I should play more video games with my kids. "Cool," he replied. And so it goes. 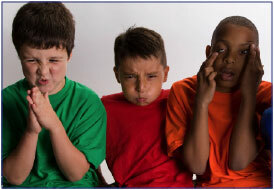 How can we help boys manage frustrations and stress? 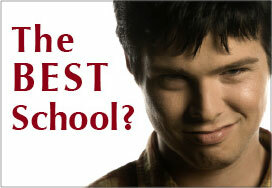 Frequently, parents ask me to recommend a good school for their son to attend. This article features a middle school that is achieving success with all students but has a special interest in reaching out to underachieving boys. 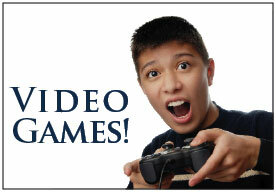 The video game sector is the fastest growing entertainment industry. 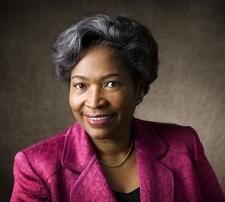 Virtual technology is essential for our children’s future careers. 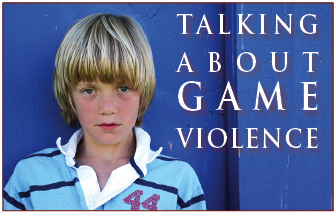 How can parents talk with boys about video game violence? 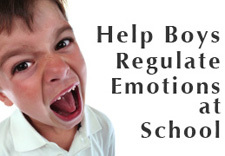 Learning to self-regulate emotions is a fundamental task of growing up. Here are 12 key ideas from several articles that I often discuss at workshops. It is my hope that these pared down tips will help you support your son's capacity for developing emotional resilience. The Acting As If strategy is a powerful way to focus and harness personal thinking, overcome mind-traps, and move toward achieving personal success. Even when we can't see ourselves ever escaping a tunnel of negativity, we can shift and nudge ourselves toward success by acting as if our positive thoughts and feelings are true. To read this free article sign up at the bottom any page. Like all of us, children need struggle and conflict in their lives so that they can learn how to begin to think about mistakes or failure as learning opportunities, not badges of deficiency. This month Barry MacDonald offers suggestions to help parents help boys manage their attitudes and thinking about overcoming challenges. Learning about grit is not the same as developing it. Students are more likely to display academic grit when they are given practical strategies to successfully manage tasks. True motivation is a welling desire to invest and engage from deep within. 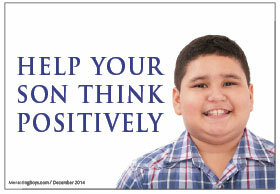 Learn key research findings about student motivation, along with practical ways to help boys find their internal drive. 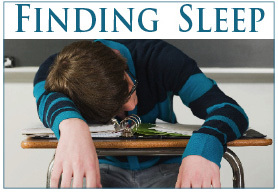 Sleep deprivation can impair memory, reduce concentration, and inhibit creativity. Research suggests that the hormonal changes of puberty could be causing adolescents to detest turning in too early at night and linger reading, texting, and playing video games until quite late. 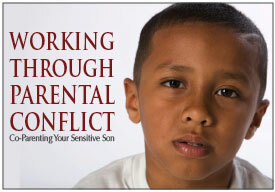 Parent-child conflict can grow out of misunderstandings about different temperaments. 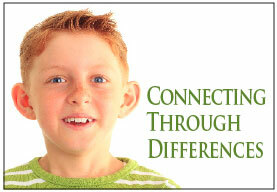 This newsletter offers an activity for you and your son to discuss and strengthen your communication. "I worry that teenage testosterone will turn my son into a powder keg, push my marriage over the edge, and turn me into a basket case. Mostly though, I worry about the impact all this stress is having on our boy." 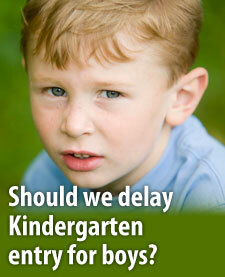 Putting a boy in the hallway may seem like a quick fix to stop the problem behaviour. Evidence indicates that punitive measures do not teach children the skills of self-regulation and critical thinking that they need to make other choices. Time-out should be used, if at all, only as a last resort. This month's article offers suggestions to anticipate, prevent, and solve problems with behaviour, while maintaining a loving connection regardless of what your son has done. To read this free article, sign up on the bottom of any page. High sugar foods often lead to increased behaviour and emotional regulation problems for kids, especially for boys diagnosed with ADHD. This month's article features a parent's frustration with a lack of physical activity in her rambunctious son's classroom. Is it necessary for kids to sit still in order to learn? Higher levels of fitness can bolster a child's ability to learn and remember information. Given that physical activity helps power the brain, what can a parent or teacher do? 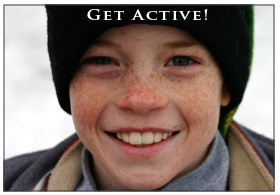 This month's newsletter promotes healthy living with the 5-2-1-0 rule. 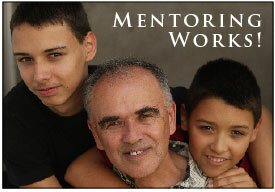 What does a recent 5-year study have to say about the effectiveness of mentoring? What might a new version of healthy masculinities for the 21st century look like? 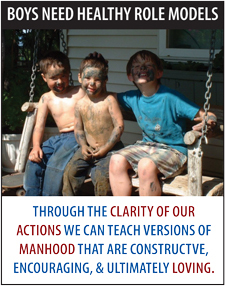 What is your own role-big or small-in guiding boys toward healthy manhood? As boys seem to willfully look away when we educators and parents are trying to ensure our message is registering, it is all too common for us to feel exasperated. Why can't he show he is listening by looking into our eyes, or at least into our direction? This month's newsletter addresses concerns about demanding compliant eye contact and presents new research about eye contact. Learning to stay calmly focussed and alert while working toward a genuinely worthwhile but distant goal is a life skill that we all need. 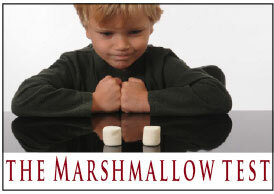 Would your son take the marshmallow? 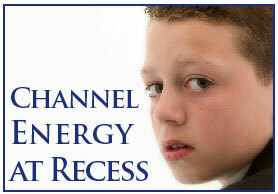 How can we help highly energetic and competitive boys to regulate their emotions during recess periods? Reacting after aggression erupts just doesn't make sense. 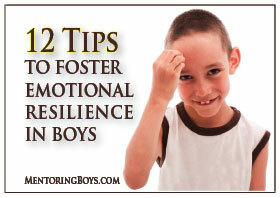 We need to help boys understand how to manage their emotional responses before, not after, they get into trouble. As you ease into a gentler summer pace and seek opportunities to connect with your son, consider the following twelve tips about raising boys. Whether you are confused, mystified, or awed by the front row seat you have watching your son’s emerging development, these practical suggestions will help strengthen your loving responses to your boy’s changing needs. What if the lines between academic schooling and video gaming were blurred? What if, instead of seeing school the way we’ve known it, we saw it for what many boys might dream it could be—a challenging and engaging video game? Would their motivation and grades improve? Today, children as early as 10 years old are utilizing social media platforms such as Facebook, Twitter, Instagram, and Ask.fm, with little or no guidance from an adult. While the Internet has the potential to increase a child’s social interaction and enhance collaborative learning experiences, it can also lure youth into real dangers. What can caring adults do to help boys develop more social and ethical online awareness and responsibility? 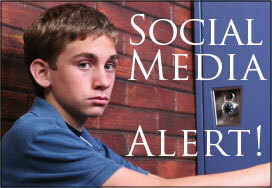 Take the Stand UP Against Cyberbully Quiz and learn 16 ways to help your son develop his social media smarts. How do we respond to boys who get stuck in powerful worry cycles that keep them away from school? This month’s newsletter explores some of the causes of anxiety, ways that it manifests, and ways that we can work with it. Liza Finlay, who speaks to moms’ groups about marriage, motherhood, and corralling her own two young sons, explores the plight of boys’ education and whether boys are failing school or schools are failing boys. How can teachers help reluctant writers appreciate the challenge of the entire process of writing—from discovering their subject to writing a draft—and revising, fine tuning that draft to make it more clear and interesting for a reader? 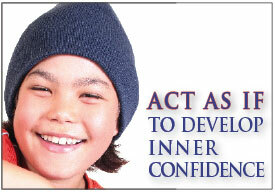 To help boys develop their full potential we need to respect and affirm the ways they can shine. What do boys need to develop their love for the literacies? How can we engage them to write because they WANT to? When parents see their sons falling behind at school, how can they encourage without taking over? How does a parent manage the hazy line between doing too much and too little for their son? 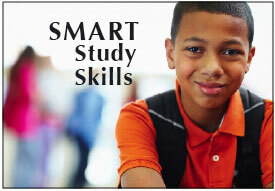 This newsletter also offers 23 smart study skills for parents and boys to discuss together. Does excessive pampering encourage entitlement while also inhibiting maturity? 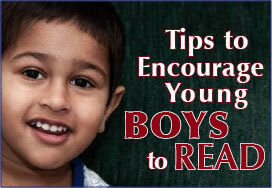 This month's newsletter offers suggestions to cultivate self-reliance in boys so they will learn the necessary skills they need to manage their own lives and to eventually become contributing members of society. Many concerned parents wrestle with the question: what is the best school for their child? May's newsletter features four BC schools that demonstrate unique and diverse pathways to success. While temperament may predispose boys towards certain emotional reactivity, these boys can still develop healthy emotion regulation strategies through their interactions with caregivers. How can we help boys to better manage and regulate their emotions at home? To regulate emotions means to manage impulses, tolerate frustrations, and to focus or shift attention—to stay calmly focussed and alert while taking action. How can teachers help boys become calmer and less reactive at school? New research highlights how a good relationship with a teacher can protect vulnerable children from being aggressive. 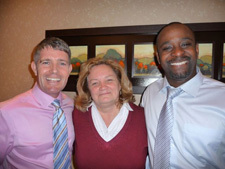 Barry MacDonald, Diane Wood, and Serge-Edouard Jeanniton celebrate that 400 teachers in Quebec have been taken time from their busy schedules to learn about the varied needs of boys in their schools. The entire staff of Harold Napper Elementary from Brossard, QC attended! 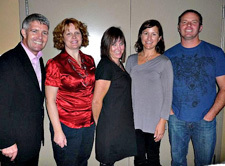 who organized the LARGEST Kelowna parent PAC event ever! Thank you to Joy Godel, Laurie Campbell, Diane Oorebeek, and Joel Oorebeek for their dedication and leadership. Sherry foster is another key contributor who is not included in this photo. 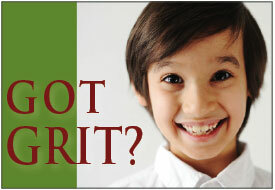 How can parents sustain optimism and practicality when boys are striking out? This heartfelt story from a mother in Ottawa will encourage you to work on building rapport with your son's teachers as you advocate for his educational needs. "Barry MacDonald had us laughing out loud while also challenging us to re-think how we parent boys - a master teacher!" "Often, I have the opportunity to interview a boy who has successfully overcome a learning barrier or life hurdle—and sometimes I have the chance to talk to his parent or teacher as well. Undiagnosed learning difficulties are one of the most underestimated causes of failure in both school and life. This month's newsletter interviews Karen Elkins, who speaks up on behalf of frustrated parents, and says: "Once people view a child in a particular light, the label can stick like glue. 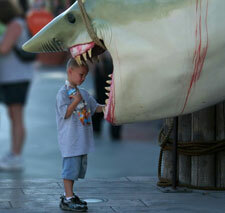 My worry is that children become objectified and their individuality melts away." Karen gently challenges limiting views while also respects the prevailing professional wisdom. The September Boy Smarts Newsletter received attention from journalists at The Vancouver Sun, who responded with a front page article about increased ADHD diagnoses among younger children in the classroom. DO 5 year old girls have more impulse control, more verbal fluency, and greater ability to sit still than boys at a similar age? ARE boys more active, less focused, less mature, and therefore less prepared to start school? CHAPTER 9 in BOYS ON TARGET draws on the wisdom of three experienced Kindergarten teachers to help parents make the best decision, one that will start their boys on the road to achievement, success, and lifelong learning. While it's natural for teachers to want students to be focused and attentive at all times, a student who is fidgeting, twisting a tiny rubber elastic figure in his hands, shuffling books noisily, or even gazing absently out the window, has much to teach. Such students are giving cues that something else is needed. How can we move from judgment and irritation to a more compassionate and helpful way of viewing these students? 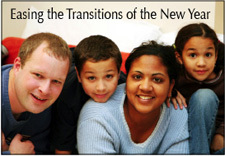 December’s newsletter offers 20 reframing transformations of thought to help you maintain a focus on strengths and foster positive responses to the everyday challenges of parenting and teaching kids. Books on backorder until October 9th. Contact usto book a workshop in your community. Does homework dull learning and further erode family life, or does it help young students to develop good work habits that will get them better prepared for secondary school? 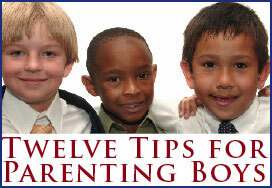 activities remind us that soon children will be bringing home their final report card. This Day of Judgment often stirs anxiety for boys—and for parents. 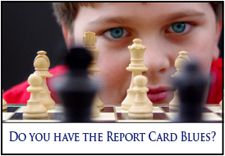 CLICK HERE To read about Responding to Report Cards. Are you game to test your knowledge on what the research reports as the best practices to support boys’ growth and development in our homes, schools and communities? 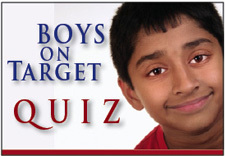 Take the Boys on Target Quiz! 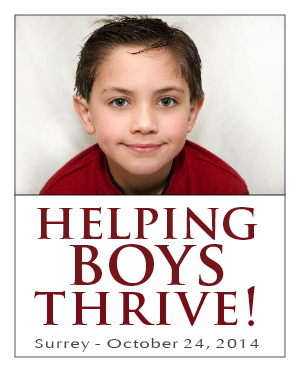 How can we help boys while also respecting the needs of girls? 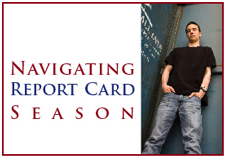 As report card season looms again, many parents are anxiously questioning their sons and their sons’ teachers about effort, motivation, and grades. For many of us discussing school performance with a fifteen-year-old boy or his teacher can seem a minefield. We may tiptoe in, glancing right and left, trying to find a way to mentor boys in school without driving them further away or getting burned ourselves. 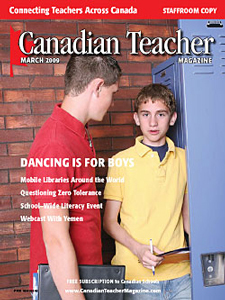 This month I interview a mom about her teenage son’s recent progress and highlight the critical impact a caring and attentive teacher can make in a boy’s life. "I attended a talk sponsored by local school officials involving Barry MacDonald, founder of MentoringBoys.com and author of the book “Boy Smarts.” It was a thoughtful and sometimes provocative speech. Like others, I signed up for the Boy Smarts newsletter that MacDonald sends out by e-mail. 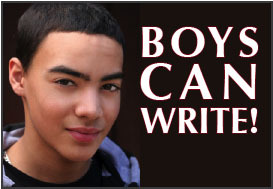 If you have a son, and want to be a better parent, you may want to sign up too. I’ve found it very useful in helping our young fellow prepare for the big ol’ world." 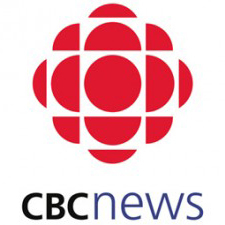 Global News interviewed Barry MacDonald after he presented to 350 educators from the Central Quebec School Board. 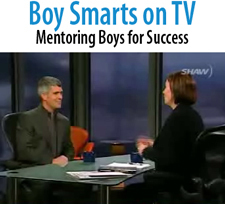 Click here to watch Mentoring Boys and Barry Macdonald on CTV. As parents and educators, we naturally want to know that schools are safe, secure places where our children can thrive. When we hear about lock-downs, school shootings, bullying, or other credible threats to our students’ safety, we may long for swift, certain and decisive responses that will guarantee our children’s well-being. 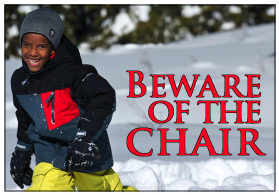 Students, parents and staff need to trust that endangerment of those in our care will not be permitted at school. However, many thoughtful educators question the effectiveness of a heavy-handed application of a Zero Tolerance policy, where the law is used as a weapon of control for common misbehaviours. What are the logical consequences of using suspension and expulsion every time the school's conduct code is violated? Who is learning what when suspension is the knee-jerk disciplinary response to a range of typical adolescent misbehaviours such as swearing, defiance, fighting, smoking and even truancy? 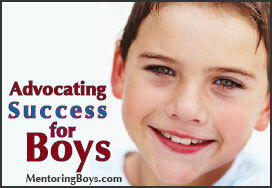 How do we walk the line between helping our boys and encouraging them to do for themselves? 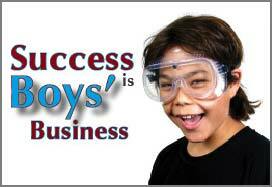 How will boys learn to be successful when we do so much for them? 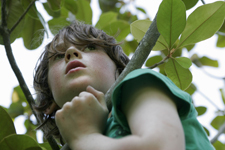 When boys seem discouraged and apathetic, can we activate their innate resilience? 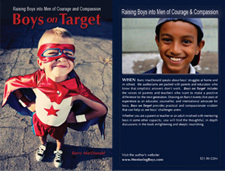 CHAPTERS 29, 30, & 31 in BOYS ON TARGET offer parents and teachers practical guidelines to ensure that boys develop the kids of courage and capability to develop their talents, strengths, and the lifelong love of learning. 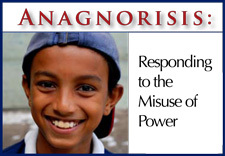 Click on the image above to view interview about Boy Smarts in Belize. 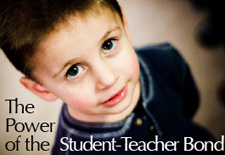 Revitalize teacher inquiry & stimulate success among boys! Boy Smarts reviewed by major American Psychology Journal! 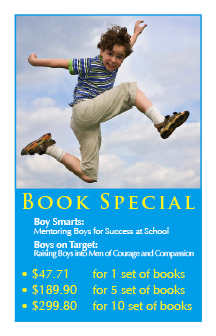 If you are a parent or teacher of boys, Boys Smarts is smart reading. It may turn out to be the single most important book in your childrens early school life. © Mentoring Boys - Barry MacDonald. All rights reserved.